This 1983 Catalina is special. 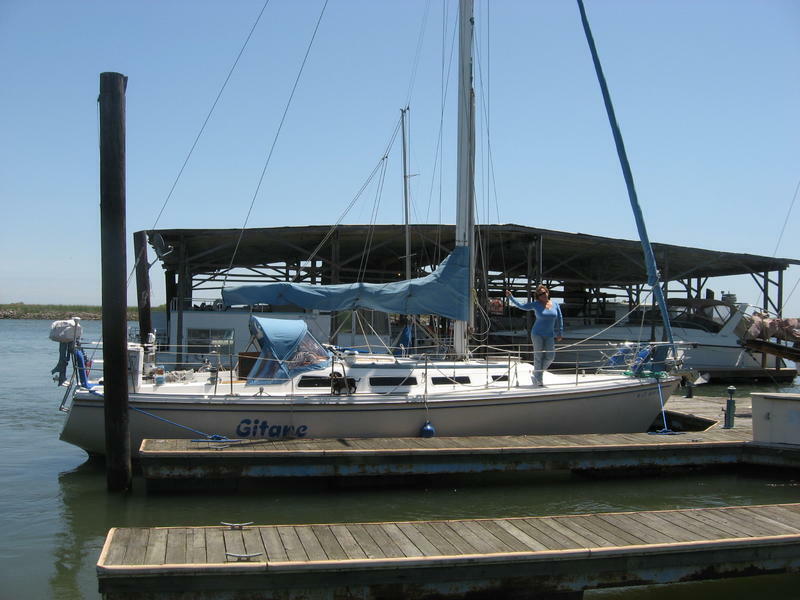 She is an immaculate, fully loaded, upgraded coastal cruiser. It is the perfect family cruiser and/or live-aboard boat for a couple or single person wanting to experience the joys and freedom that sailing can provide – at a reasonable price! Also a respectable competitor around the buoys. We have had a ball on this boat. She is ready for cruising TODAY! She also makes a great home away from home even if you never leave the harbor. Fully set up for single handling. Come see for yourself. $42,000 (firm). Shes worth more, but we have to sell. Call Frank at (# removed). Or email me for more pictures. 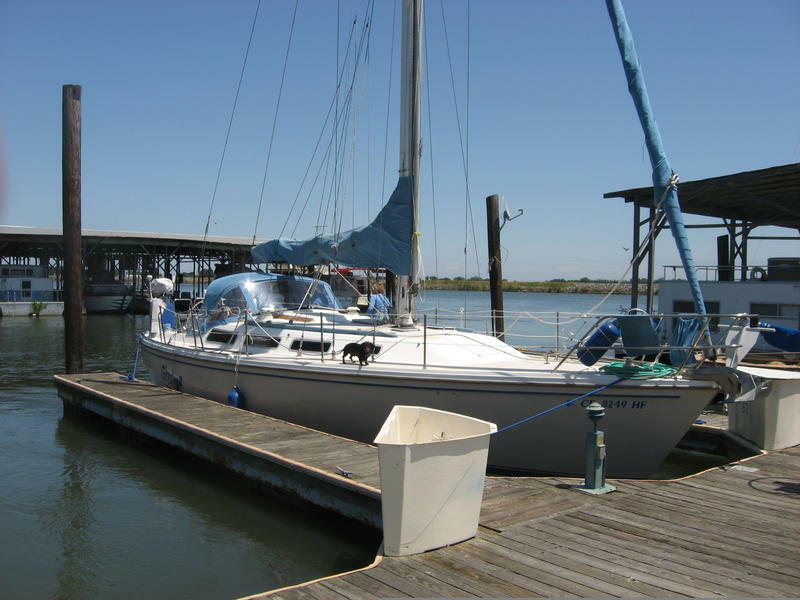 Enter thru companionway with its full brand new dodger, galley to port, full custom nav-station to starbd. Beautiful Teak Interior. Full convertible dinette with custom upholstery. The two seats and game table starboard convert to a settee or single berth with the cushions provided. Full galley with refrigerator, gimbaled propane stove with two burners and oven, hot and cold pressure water, good provision storage and counter space, deep double stainless steel sink, and microwave. Forward full head and shower. Large V-berth forward with very comfy custom mattress and chest of drawers. Custom upholstered aft double berth with ample clothes storage. Brand new full Dodger. Selftailing winches. Mainsheet traveler with boom vang. Speed, depth, and wind gauges. Autopilot with automatic taking. Main (2 Reefs) and 155% Genoa on Furling Jib (with cover). Whisker pole installed on mast for quick rigging, forward electrical windless with foot pedals. Two extra halyards. Stern anchor. New jib lines. Great standing and running rigging, no rust anywhere. Sails in excellent condition. Custom glass folding companion way door. Brand new bumpers and bumper holders. Forward birth has a custom built full mattress just like home! 220/110v dockside power with 40 foot power cord.